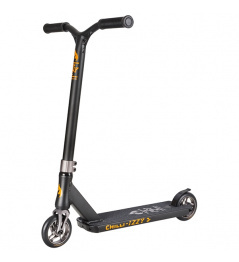 This scooter is the best choice for small riders! The 19.5-inch scooter is really tiny! Excellent for small pros! If you want to have a good tailwhip and you have chosen the barka well. Thanks to the smaller dimensions of the scooter, the ride will be like nothing! Smaller board, shorter handlebars are not the only advantage of this scooter. It also has great components such as 110 mm castors with aluminum center, aluminum fork, single piece, threadless, aluminum handlebar , etc. 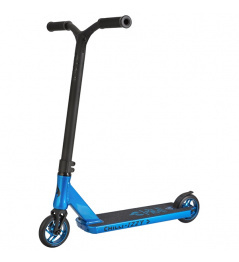 In addition to the bearings, there is nothing standard on this scooter, all made to order , state-of-the-art, designed, modified and manufactured by the renowned Rocker BMX manufacturer! Each RKR Viral scooter has a special color or paint spray . Every scooter has a unique design! Scooter is suitable for 11-year-old riders due to scooter dimensions ! 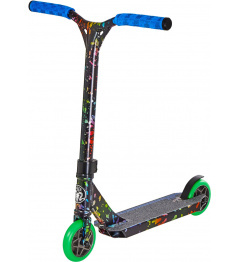 0 Review "Freestyle scooter RKR Viral Splatter Fuel 19.5 inches"